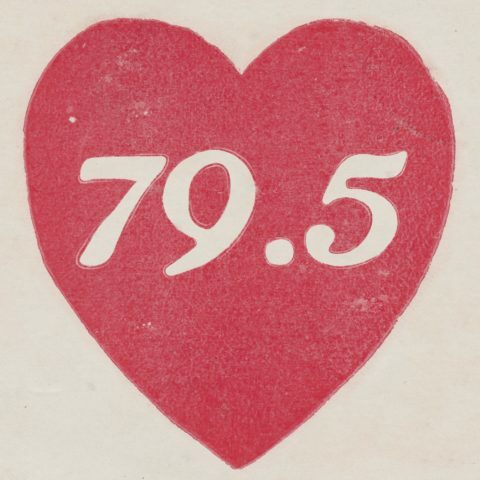 Hard to categorize, easy to love, 79.5 has been making tons of noise around New York City for the past two years. With three lead vocalists alongside a band that pulls influence from every corner of a record store, it’s no wonder they’re already taking the scene by storm. They are an act that gets put on as an opener and shortly thereafter is asked by the venue to do a month long residency. That residency leads them to a full page write up in The New Yorker before they even have a single out. 79.5 wins over listeners wherever they play with their unique and infectious energy. They released their first single “Terrorize My Heart” in September 2016 which has been heavily supported across the US on tastemaker radio programs at KCRW, WFMU, and KEXP as well as overseas by the likes of Giles Peterson & Radio Nova. They have played some of the most hip and notable stages in NYC from Bowery Ballroom to Baby’s All Right, and recently finished a US tour opening for Chicano Batman. Their debut album “Predictions”, produced by Leon Michels (Lee Fields, The Arcs, Lana Del Ray) comes out in the fall of 2018.